Earn $0.85 in Rewards credit. Click to learn more. 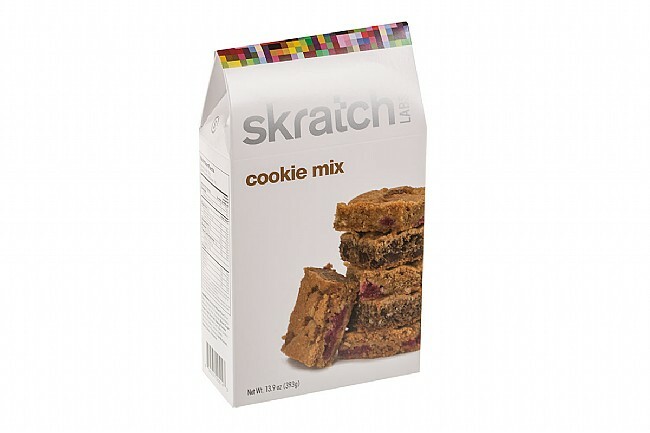 After Tour of California riders were asking for last night's dessert cookies as fuel for the next day's race, Skratch Labs decided to develop an easy-to-use pre-made Cookie Mix that lets you sub out your tired selection of energy bars and replace it with the same fuel-providing deliciousness that your mother used to make. Cookies provide a similar nutritional profile to most bars but taste better and contain more moisture to make them easier to get down during a ride. 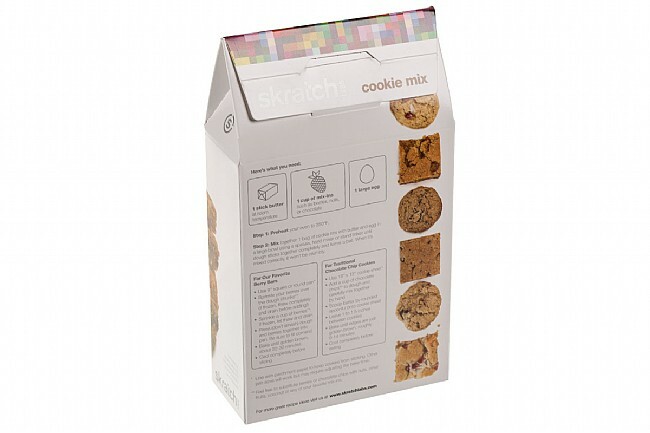 At home, just add a stick of butter, one egg, and an optional cup of chocolate chips or any other mix-in of your choice, and in as little as ten minutes, hot, fresh, and delicious cookies are ready to be packaged up and put in a jersey pocket.